ARE FULL AND WE HAVE STARTED A WAITING LIST. Perform in Award Winning Broadway Musicals with Spotlight Musical Theatre! All artists who complete the registration will be in the production. Casting will be done during the first 2 weeks of the production once we see the level of the artists enrolled. 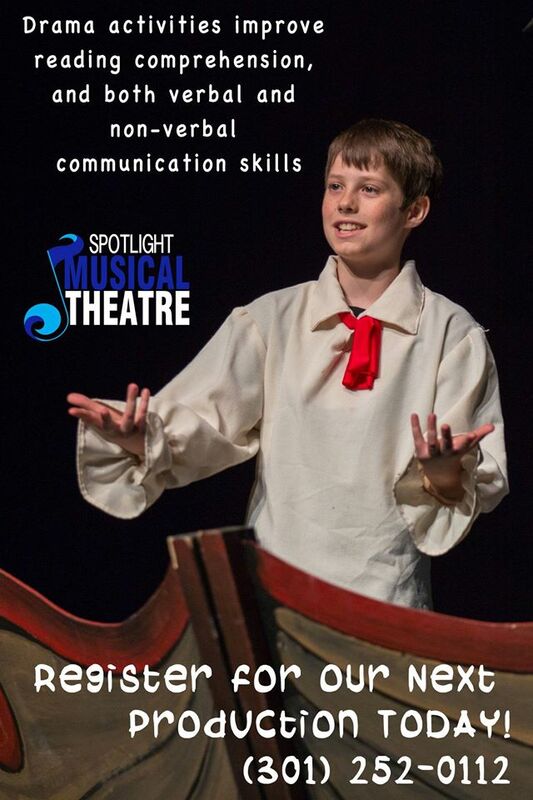 The Spotlight Musical Theatre program is split into two groups: our Junior Company (ages 4 – 8) and our Senior Company (ages 9 – 17). The Junior Company has rehearsals for one hour, one day a week excluding holidays. They rehearse and perform a short showcase that features all of our young actors in full costume and makeup. The Senior Company rehearses for three hours, once a week and performs the full production. 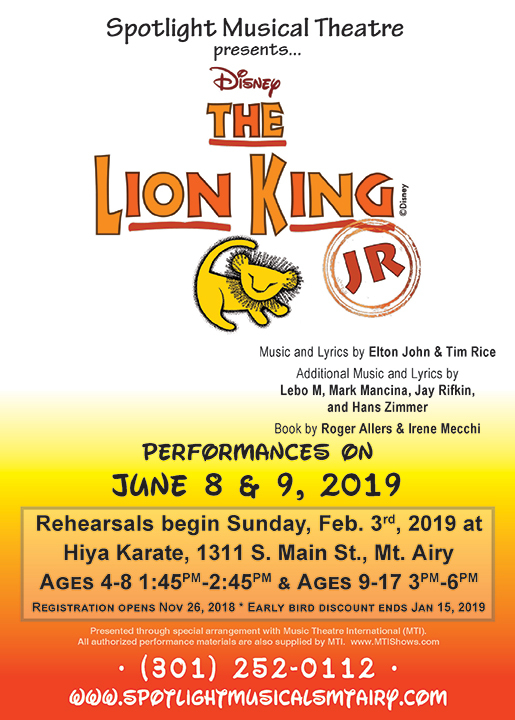 Our rehearsal process and productions challenge each group and provide the appropriate levels of acting, singing, and dancing for each company. then click “SUBMIT” before you proceed to Paypal.